Hi, it's Sue here with my second Springtime piece. I'm really enjoying playing with my Fresco paints and these soft Spring colours. More details can be found here on my blog. 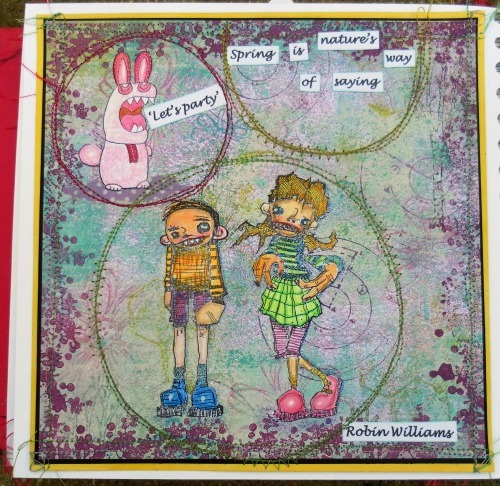 Now it's your turn to join in and show us your Spring creations. Have fun! Funny little piece! I love the stamped frame and your background. Nice sentiment! Wow Sue, this is adorable. Love your Springtime Stampotique characters, Sue - this put a big smile on my face!